North Star plans to bring 10 new, affordable homes to Thornaby on Teesside. Working with developer, PF Burridge, North Star has submitted a planning application, to Stockton Borough Council, for permission to build two bedroomed houses on a plot of cleared land on Millbank Lane. If approved, the scheme would be the second development commenced in the borough by North Star in the past twelve months. Work on the first scheme, which includes seven two bedroomed bungalows for over 55’s in Darlington Lane, is now approaching completion. 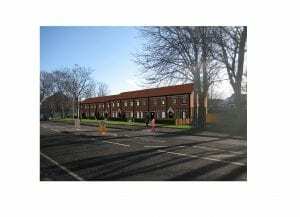 Burridge, which is building the bungalows, will also develop the new houses in Thornaby, if planners give the green light. The £1.4m project is supported by grant funding from Homes England. Commercial Director, Stephen McCoy, said: “We are delighted to have secured these two opportunities to work with North Star as we seek to respond to government driven agenda to increase the number and quality of new homes being built, year on year, addressing our region’s housing shortage. The business – which is based on the Benton Square Industrial Estate in Newcastle but also has a depot in Wakefield, Yorkshire – employs 160 people and has built a sound reputation carrying out refurbishment and repair contracts throughout the North of England for universities, hospitals, housing associations and private sector clients.